The LUXE collection of designer cushions is the ultimate statement piece for your home. 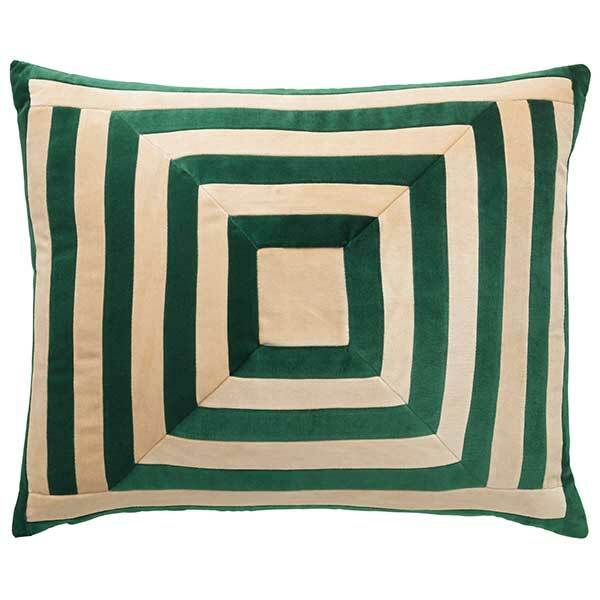 This luxury cushion is with hand-stitched panels of velvet in shades of Emerald and Cream. This cushion will add colour, texture and style to your sofa, chair or bed. • Colour: Emerald + Cream. • Size: 50 x 60cm. • Designed and hand-made in Denmark. • The inner cushions are filled with high quality small feathers and downs. Antibacterial and animal friendly. • If in stock, this item will ship in 5-7 days. If to be made, allow an extra 10 days to receive your item.